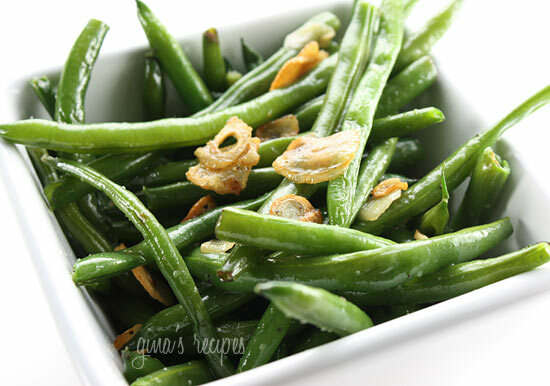 I was never a fan of string beans until I learned how to cook them properly. Now I love them. The trick is not to overcook them. This is a quick, healthy side dish for all you garlic lovers out there. Bring a large saucepan filled with 1 inch of water to a boil. 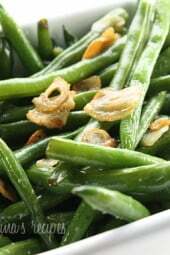 Lower a steamer basket filled with the green beans into it, tightly cover the pan, and steam for 4-5 minutes (don’t overcook), until the beans are tender crisp. Drain. In a saute pan heat olive oil. Add garlic and cook until golden. Add string beans, salt and fresh pepper to taste and toss well.